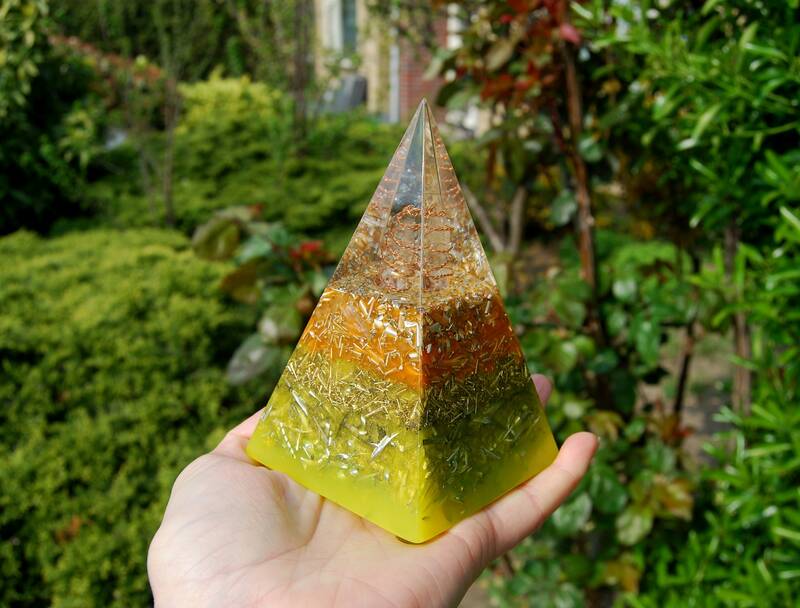 Quartz Orgonite® Pyramid Orgone Chi Prana Positive - FREE Shipment ! 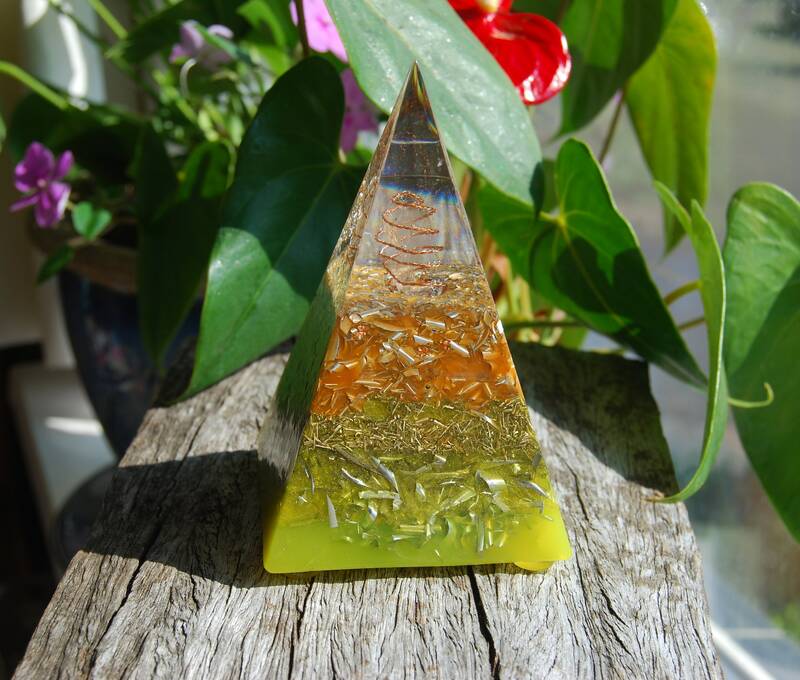 This is a unique Orgonite® pyramid. 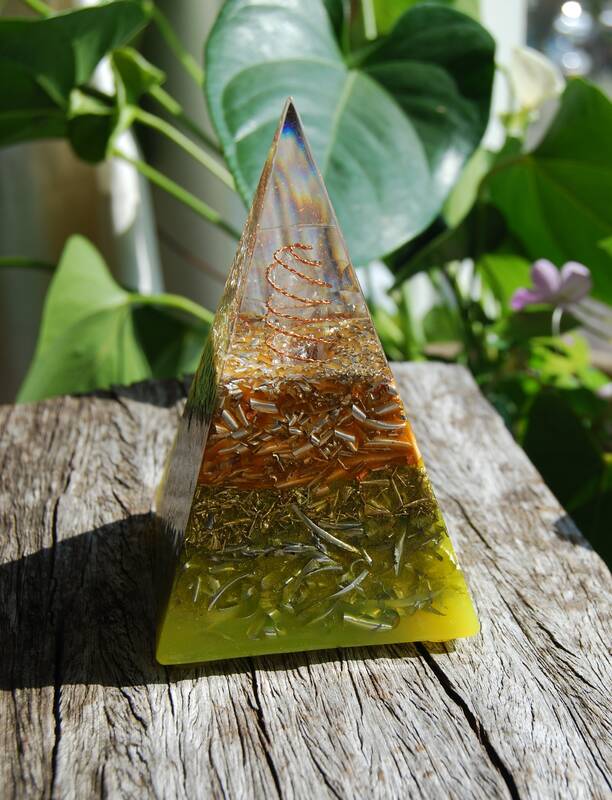 It has one clear natural terminated clear quartz crystal in the top middle and a stainless steel bal directly in the top which makes the energy come out wide instead of a beam going straight out. 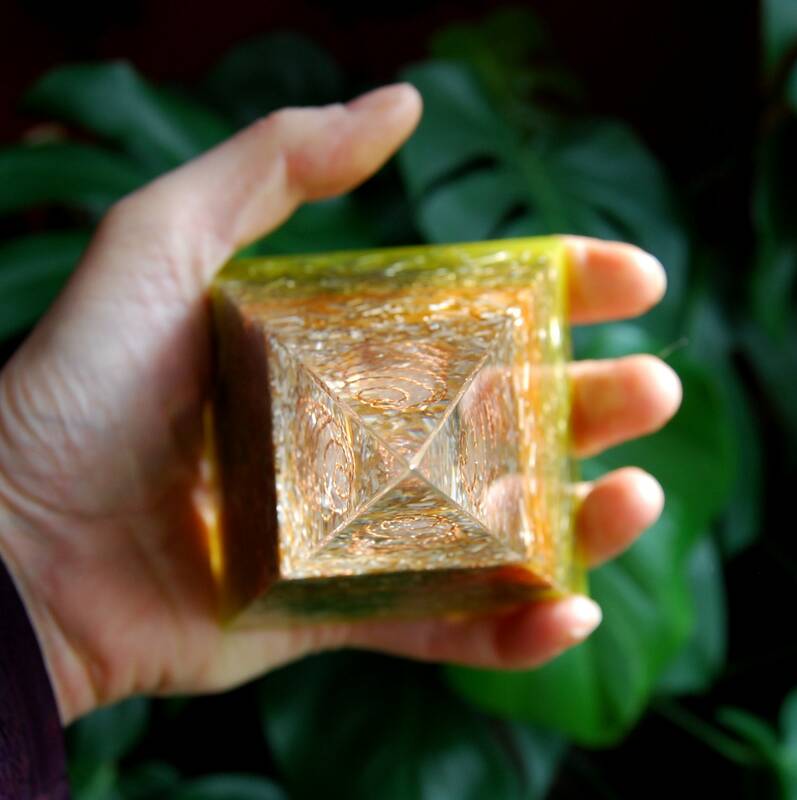 This crystal is entwined with a pure copper SBB coil which amplifies, moves and directs energy. 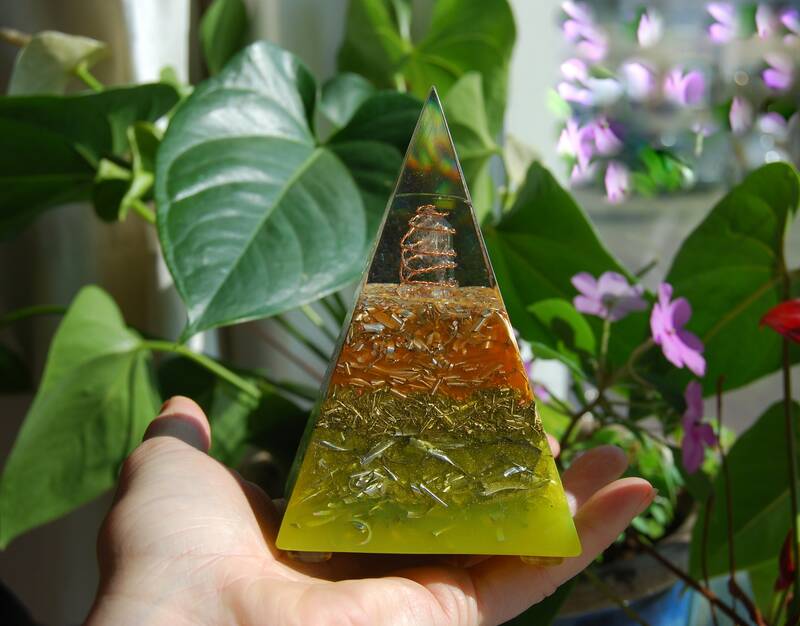 The coil also considerably increases the power and range of the pyramid. 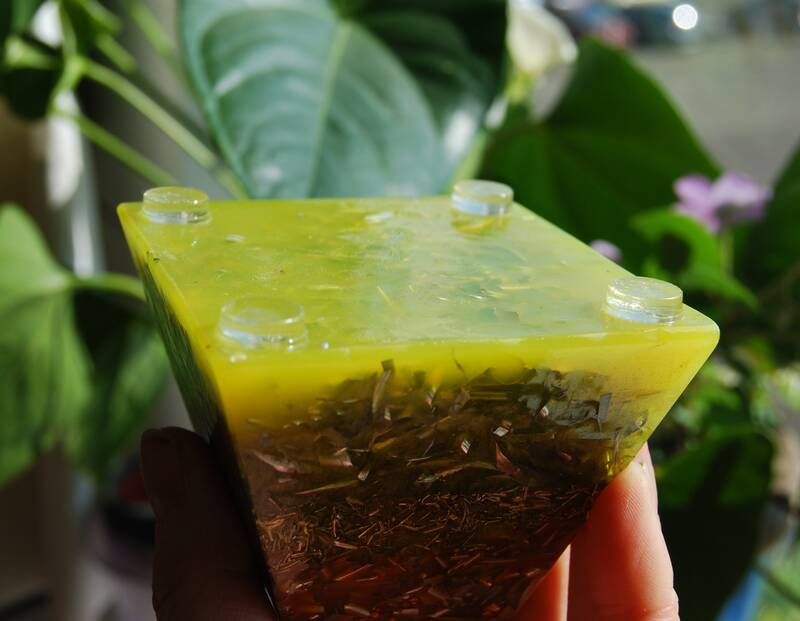 The first layer is made from Pyrite. 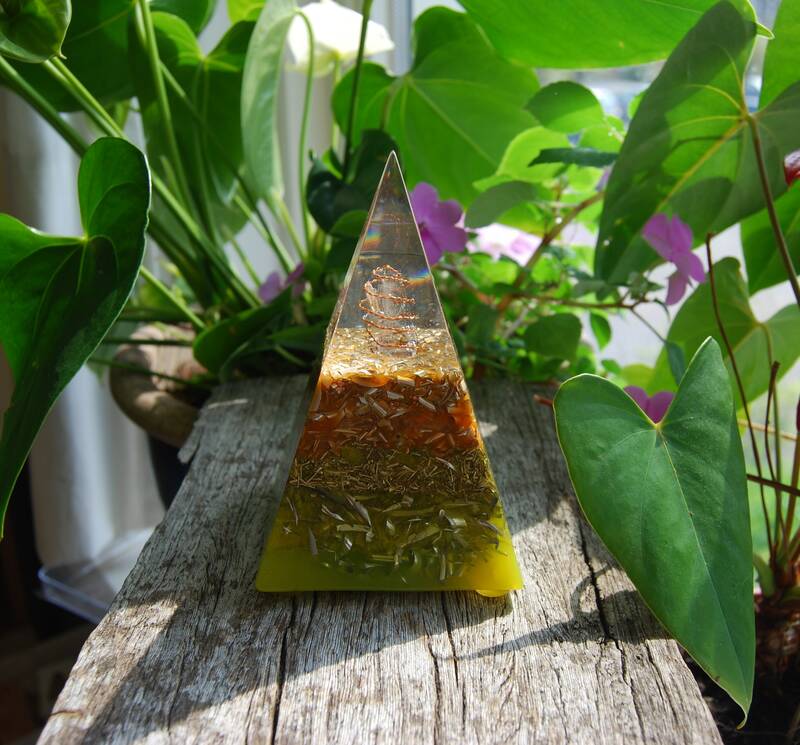 It consists of densely layered metal shavings of aluminium, bronze, copper and brass which is required to for the Orgonite® to properly work according to William Reich's research (the more METAL Shavings, The better the Orgonite® can remove stagnant energy). 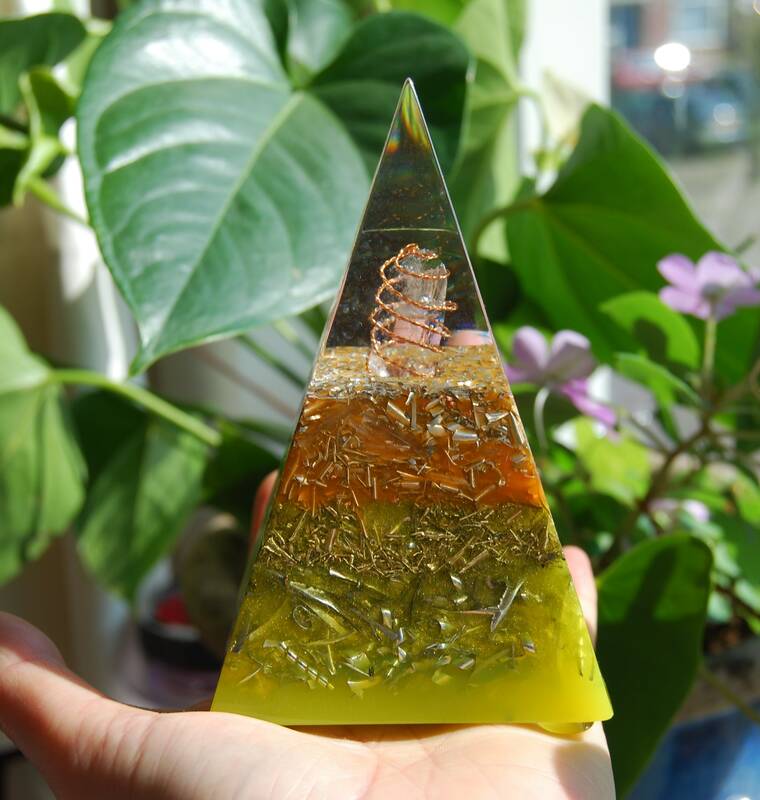 Within these metal layers there are four terminated quartz crystals pointing in four directions for extended energy flow in all four directions and for piezo electric effect. This pryamid is created with loving intent to transform people’s lives for the better in a loving environment. It has been hand sanded through 9 sets of fine polishing paper so it is shiney and silky smooth. Weight is 488 grams - just less then 1/2 kilo - 17.21 ounces.